An inexpensive drain blocker to throw down in a hurry in the event of a spill. The Neoprene Drain Cover is an affordable option for quickly covering a drain to protect agains accidental spills. Cover a drain immediately in the event of a spill to reduce the cost of clean up and contamination. Should only be used where completely blocking the drain is not mandatory. 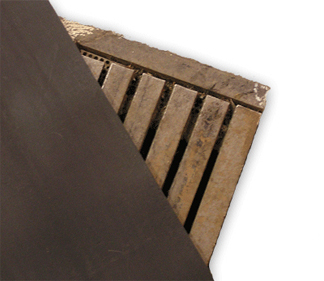 The Neoprene Drain Blocker is made from 1/8" neoprene rubber, cut to 35"x48". It folds up to fit in most larger spill kits.